The kids are going back to school and you are counting down the days. Eureka Springs is a bustling destination for family vacations during the summer months but when the kids go back to school, Eureka Springs starts to take it easy. In fact, Eureka Springs is the perfect place for adults to escape to. Get some ideas for your Great Escape…read Top 5 Eureka Springs Adult Activities. 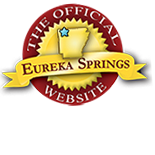 Find great deals on Eureka Springs accommodations, attractions and events. This entry was posted on August 11, 2012 by estcblog in Arts & Culture, Culinary Adventures, Eureka Springs Lodging, Fun Downtown, History, Road trips, Shopping, Spa and tagged Arkansas, art galleries, culinary, dining, downtown, Eureka Springs, Fine dining, food, gardens, historic downtown.